Marc Hoffman’s first website was functional, but dated. It had the content he needed to have, except he had to open up a code editor to make any changes. For some, that can be a huge headache by itself. For Marc, it was fine, but he was looking for something more convenient, plus a more impressive design to showcase his work as an award winning pianist, composer, and arranger. It turns out that Marc was a perfect fit for our PRO Website Package, in which we select a design that already exists, and build the website custom from that design. This package cuts down significantly the time it takes to complete a project, simply because there is essentially no design phase. It also keeps costs lower, as well. Since, Marc already had a WordPress blog on a separate installation, we used WordPress on this and simply combined the two sites into one, making life that much more easier for him. 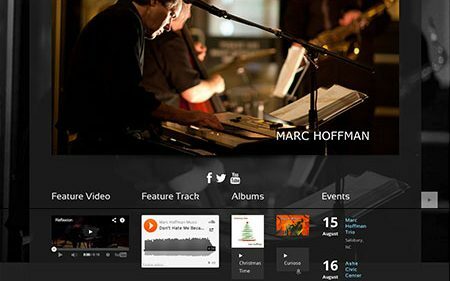 If you’re in the Salisbury, NC area and are looking for an awesome music teacher, or even music for your next event, MarcHoffman.com is a great place to start your search.